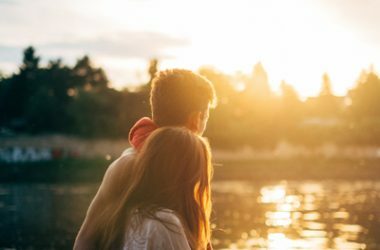 According to a new article, it seems that the age-old advice of taking one’s time and not rushing into things when it comes to a relationship has resonated with young adults. 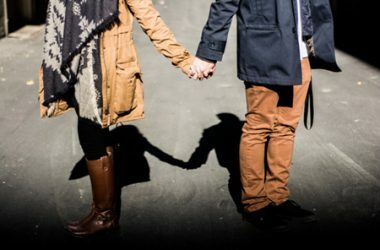 As a USA Today article has found that more and more young adults are expanding the definition of a long-term relationship, with most couples staying together for nearly a decade before deciding to tie the knot. The ever-growing trend of couples being together a number of years before getting married doesn’t seem to be bridging the generation gap. Andrew Cherlin, a sociologist at Johns Hopkins University, told USA Today that while “It’s good to get to know your partner before marrying” the findings make him wonder about how much time young couples need in order to do so. Past generations are filled with stories of whirlwind romances, wherein the happy couple meets, dates, becomes engaged and marries all within the span of a few years. Naturally, the thought of being in a relationship for a decade before saying “I do” has many baffled. But is the fact that the average age for men and women’s first marriages has increased to 28 and 26, respectively, really cause for alarm? If anything, the article proves that the marriage delay is not out of fear or irresponsibility, but instead out of careful thought and consideration. The facts and figures of the national divorce rate seem to be an ever-present reminder of what can happen to any couple. With that in mind, more and more couples are taking every opportunity they can to ensure that they know their partner before committing to such a degree. Most twenty-somethings are also just finding their footing in the career world, finding entry-level work and trying to obtain some form of financial security. Student loans will be hounding them for years to come along with bills and rent. So many couples are also focusing on becoming financially stable before deciding to plan a wedding that could drain funds, or buying a house that will cause quite the dent in their bank accounts. When viewed through this lens, even the older generations have to agree that waiting on marriage sounds like a pretty sensible and responsible approach. I’ve known couples who had quick courtships and engagements, and couples who, though they have been together for years, are only just now getting engaged. The ones who had speedy courtships unfortunately weren’t prepared for the path they had decided to embark on. Their marriages ended because of wandering eyes and, quite simply, being ill-equipped to deal with the responsibilities that came with them. They hadn’t given themselves or their relationship the chance to grow that both required — something that my friends who have been in long-term relationships have successfully dealt with together. I used to have a co-worker who would badger me about when I planned on getting married, as if I had a “best if used by” date stamped on my forehead that was rapidly approaching. Maybe she and the others who shake their heads at us Gen Y-ers taking our time in love should consider the following questions. Would you rather be in a marriage that happened too quickly and that both you and your partner would regret undertaking so soon? Or would you rather be in a relationship that, though it may not be headed to marriage at the moment, has partners who are committed to one another and are focused on finding some stability for each other before taking the plunge? Isn’t the answer obvious? Rest easy, parents and grandparents. We may not have the ring picked out yet, but we’re going to be just fine. I simply want to tell you that I am very new to blogs and really enjoyed you’re blog site. Almost certainly I’m planning to bookmark your blog . You definitely have outstanding well written articles. Thanks a lot for sharing your web site.